Living with two roommates who don’t share my movie, music, and gaming enthusiasm means I have to use headphones at all times. You could say I have a mild headphone fetish, and over the years, I’ve tried a dozen of them. From the humble beginnings of generic Wal-mart Sony earphones, then the Shure E2C earphones, the venerable Grado SD60’s, and the Audio Technica ATH-A500. 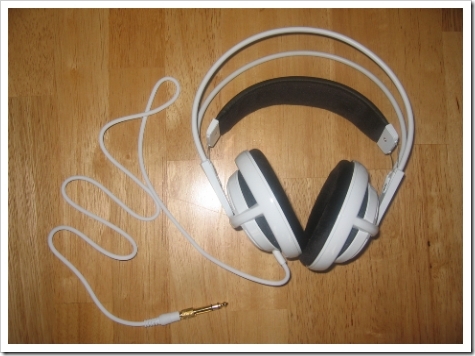 Audio quality, comfort, and build quality are all top criterias I look into when checking out headphones/earphones. 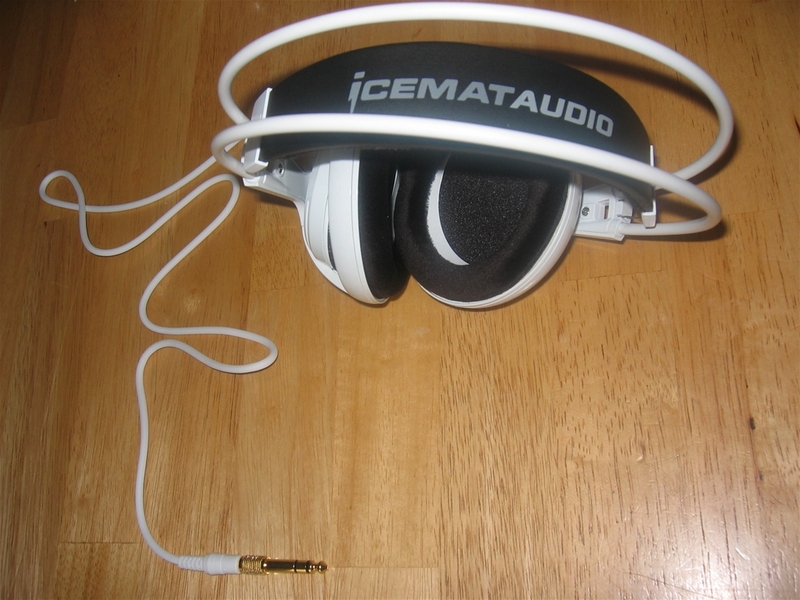 Now I am trying out the Icemat Siberia Headset, which retails for $80. Icemat has the luxury of creating gamer-approved mousepads in an industry where there aren’t many competitors. With headphones, however, it’s a saturated market. Aiming them at gamers means you not only have to have features that gamers crave (like being affordable, durable, and have a great soundstage — more on this later), but it must also exhibit superb sound quality. Here are the details on the headphones. They are circumaural, so it is open and what you hear others near you can hear as well. 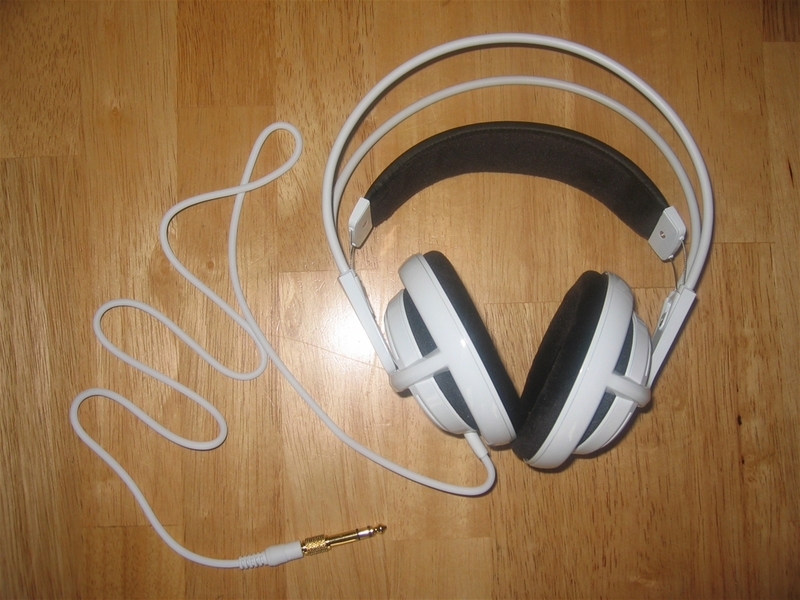 An open air design tend to have better sound quality than closed headphones, but usually bass suffers a bit as a result. Then there’s the outside noise factor penetrating your gaming session. Hearing noise outside my gaming world tends to break that temporary suspension from reality that we play games for. Also, anything you can hear, people in the other room likely can, too. So if you’re looking for privacy, you’ll want to consider closed-can designs. The speakers are aimed at an angle to have sound directly piped into your ear, which is a nice little touch. The body is a light, plastic material, colors are in black and white. The strap that rests on your head is a thin piece of what feels like faux leather, with a cushion that rests against your head. It’s comfortable, which is what counts. One gripe I have is that it squeezes my head a little too hard, which can get a bit uncomfortable for extended sessions. This is easily fixed with a pillow stuffed between the headphones and left overnight, to stretch it a little bit. I haven’t had the headphones long enough to tell how durable it is, but judging by appearance, and feel, and a bit of experience, it doesn’t give me much confidence. On the other hand, the cord is thick and durable. 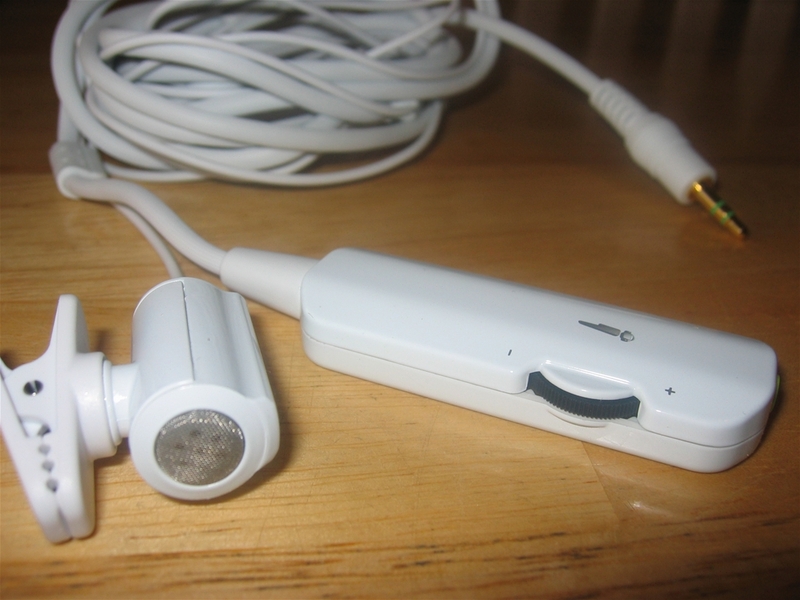 On the cord are little clamps which allows you to attach the microphone’s cord to the headphone’s cord, thus keeping both together. 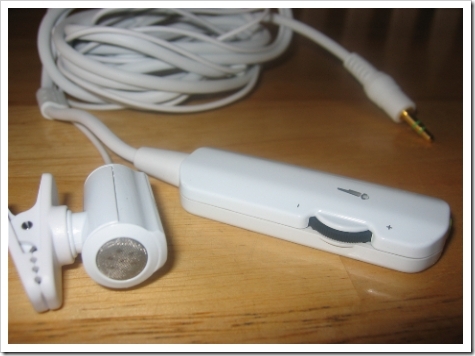 One cord has a volume control on one end, that allows you to plug in your headphones to it and then it acts as an extension in case you need a longer cord. The cord runs into the left cup, rather than into both, which leaves you more room to maneuver around without worrying about getting tangled up, or snagging a cord. The unidirectional microphone has a little clamp to it that allows you to attach it to your shirt, and comes with a little 90 degree angled plastic that you can attach to the side of your monitor and hang your microphone there if you don’t want to constantly clamp it to yourself. This is another nice little touch for gamers to not have to worry about the microphone all the time. The microphone is low gain, and will benefit from a boost in your sound control panel. For both online gaming and digital telephony over the internet, the microphone does an excellent job in clarity and response. It doesn’t pick up too much background noise, and all listeners were able to hear me clearly, either with the microphone pinned to my shirt under my chin or hooked up on the side of my monitor. A nice touch is an on/off switch right on the mic, which has come in handy more than a few times when using it. I’ve thrown a wide range of audio at these headphones to see how they handle, and not just gaming, either. I’ve watched DVD movies, listened to lossless (FLAC) music, and of course, played a lot of games. From the brain-rattling explosions in Die Hard 2, to the tinkle of the piano from Beethoven’s masterpieces, visceral shootouts in Company of Heroes, and hours of rocking to my mp3 player while visiting family. For testing, I’ve made sure to use a flat equalizer, no sound enhancement technologies, everything as reference as can be. FLAC lossless songs used only. I’ve burned in the headphones via a mixture of white noise and random shuffling of song playlists for 48 hours straight at a slightly higher than average volume. This is to ensure the diaphragms are loose and settled into its design parameters for its intended optimal sound. Finally, I’m using a Headroom Total Airhead headphone amp to ensure the headphones are properly powered and operate at their peak. As mentioned above, I’ve put the Siberia headphones through all kinds of movies, music, and games. After all is said and done, I was very impressed with these headphones sound quality-wise. My roommate who is an accomplished musician, has played in bands herself, and loves all things orchestral, was happy at the crisp nature of these phones while listening to Mozart symphonies, but mentioned that the treble is a bit weak, which I’ve noticed as well. I’ve listened to a wide range of music, from indie rock, metal, classical, ambient, reggae, and punk (I have a very wide musical taste.) For movies they do a good job, as well. I’d like the bass to be a bit more deep, but I tend to lean towards closed-cans anyway (which tend to have deeper, more responsive bass as a result.) Dialogue and background music in movies are all handled well by these headphones. Which brings me to the big reason for these headphones — gaming. For gaming it does a good enough job, although the weak treble hurts, as does the lack of a responsive, deep bass. As a general rule, if your headphones can output great sound quality during music, it’ll do everything else great as well. However, there’s one thing gamers look for in headphones that isn’t such a big focus for music enthusiasts, and that is a thing called soundstage. This is that perception of depth by your brain based on how the headphones sells it to your brain. Soundstage is the reason why gamers prefer headphones over the best speakers. To put it succinctly, a superb soundstage allows you to hear your opponent’s footstep precisely behind you to the right and on the upper level, and being able to anticipate his movement based on that knowledge that your ears gave you. With a horrible soundstage, all you would hear is that he is behind you, and that’s it. That can be the difference between you dying, or winning the match. Being able to pick up audio clues in a game is what a great soundstage does for you, it adds depth to the playing field, and gives you a distinct edge while gaming online. Additionally, while listening to an orchestra, you can hear more instruments and be able to differentiate which rows they are being played in when the headphone has a great soundstage. 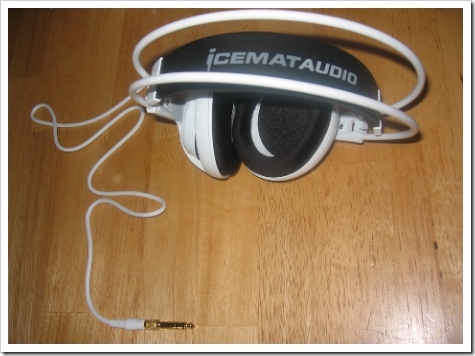 The Icemat Siberia has a great soundstage, but it could be better, especially considering they are headphones aimed at gamers. However, since these are the first offerings from Icemat, it is definitely a step in the right direction. I’d personally like to see an option to purchase a version of the Siberia headphones that are closed (for those of us that prefers them), and also look into getting a better soundstage with their next foray into headphones. Cleaner treble, and a deeper, more responsive bass would be nice, too. After all, we’re gamers, and we love the thunder and the feeling of our skull rattling around when we toss a grenade in some punk’s camping spot. The Icemat Siberia Headset has good sound quality, and the addition of the unidirectional microphone, and little touches like the cord clamps, in-line volume control and cord extension, and the ability to hook it up to your monitor, should appeal to gamers looking for headphones. The headphones themselves have lasted out well so far, and I’ve not had any problems with them falling to bits themselves. My main gripe, however, is the volume control. After about 6 months the potentiometer in the little white box started playing up. Lots of crackling when turning volume up or down and occasional loss of sound in one ear. This can get really annoying when you’re in the middle of an important game and all of a sudden sound cuts out and you can’t hear your enemy approaching you. It can be temporarily fixed by dismantling the volume control and giving it a bit of a clean then putting it back together, but it seems to start up again a couple of days later. This doesn’t seem to be restricted to just my pair either – I have friends with these headphones who have reported the same problem to me. Its certainly not the be all and end all of these headphones though, as they do have lots of other redeeming features – Just take this into account if you’re thinking of buying them. Good review by the way :) Thanks. Russ: Thank you for your comment. Regarding the soundstage, I have headphones at around the same price range that has a better soundstage, and the reason why I don’t mention other headphones I use is because this isn’t a comparison, but a review. I’ve actually heard from a gamer friend that the volume control box degrades sound quality when used, and recommended not using it. I didn’t mention it because I don’t have conclusive proof that this is the case, but it is interesting that you mention your problems with it. I PURCHASED THE HEAD PHONES FROM CRAIGSLIST FOR 25 BUCKS I LOVE THEM, THEY COULD USE A LITTLE MORE BASS BUT THEY ARE GREAT. I THINK THEY HAVE A VERY DURABLE DESIGN.